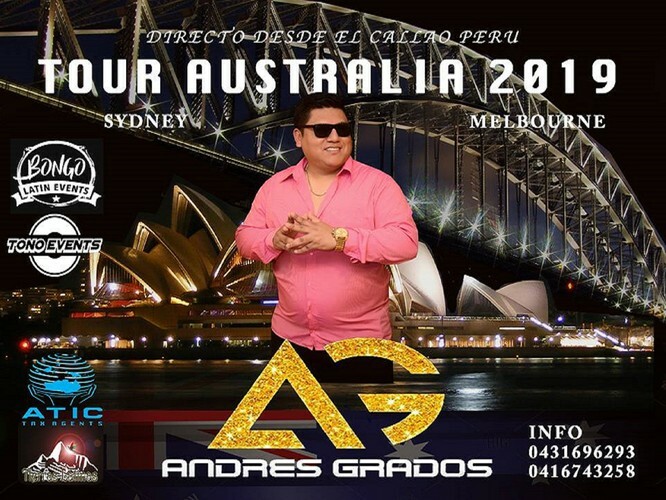 International salsa sensation Andres Grados comes to Australia! After touring through South America and USA, he now brings his latino energy to Melbourne for one night only. The Peruvian salsero will be performing with full band at Copacabana International, he will entertain you with his salsa hits like Como Tu, Fria Como el Viento, Mala Mujer, Y Ahora Resulta plus many more salsa classics.